Serious Eats "always wondered what tropical fruit drinks have to do with hot dogs. But the strange combination surprisingly works." Papaya Dog, shown across the street from the Empire State Building, is the newer of the Papaya/Hot Dog chain restaurants. More established competitors include Papaya King, Gray's Papaya, and Mike's Papaya. 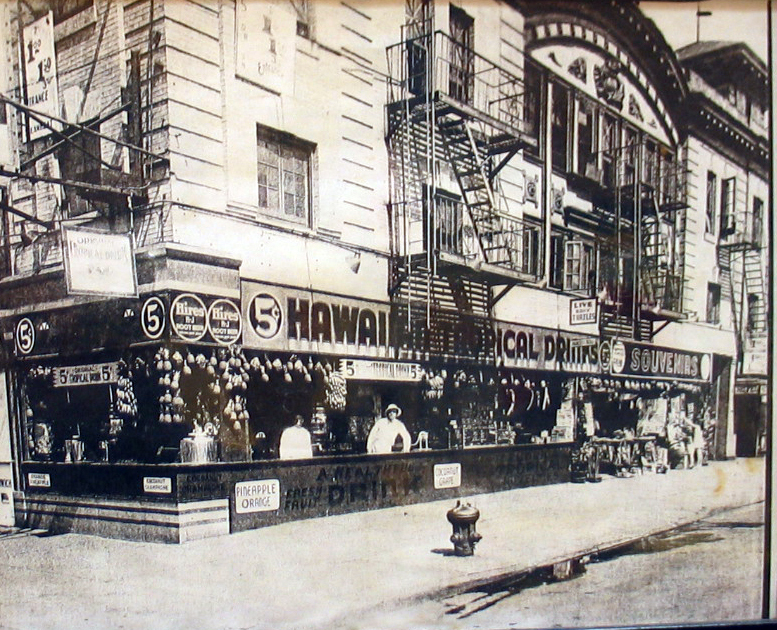 This distinctly New York tradition originated in 1932 with the opening of Hawaiian Tropical Drinks on 86th Street and 3rd Avenue.